The need to transmit information effectively has never been greater and affects almost all walks of life. 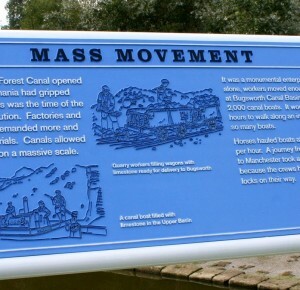 Much of our work relates to signs and information panels which greet visitors and explain things to them on arrival at a country park, museum, town centre or heritage centre. 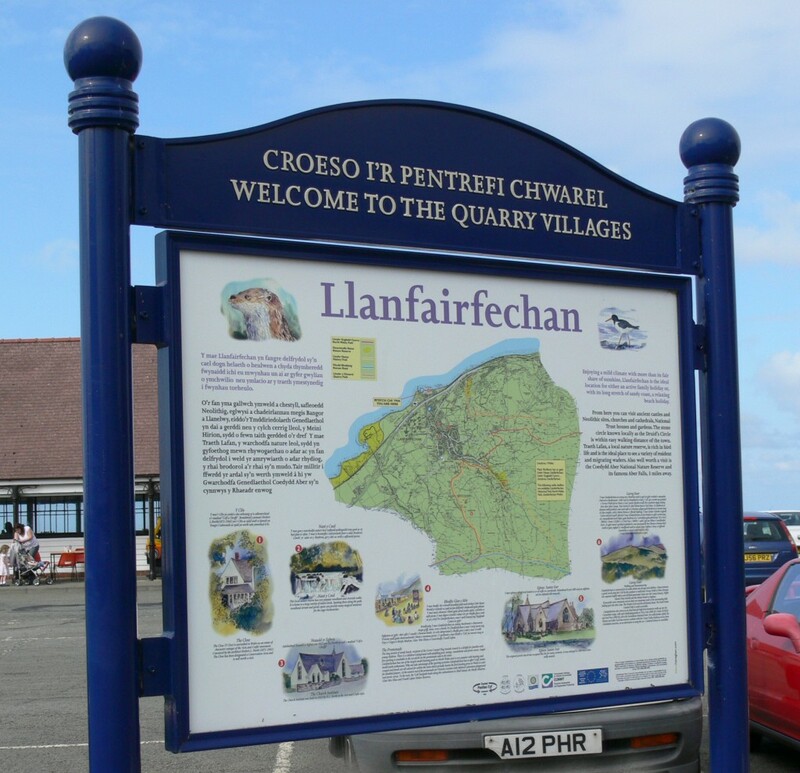 First impressions are very important and it’s our job to work with designers and consultants to create maps and interpretation panels which are not just user-friendly but, where possible, ‘touchy-feely’ as well. We design and provide full colour maps and interpretation panels which can be wall-mounted, post-mounted or on lecterns. 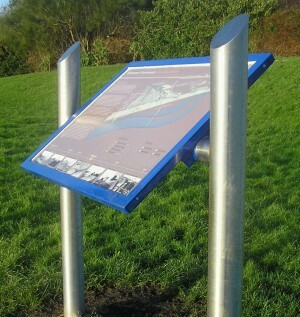 Posts can be hardwood, aluminium or steel. 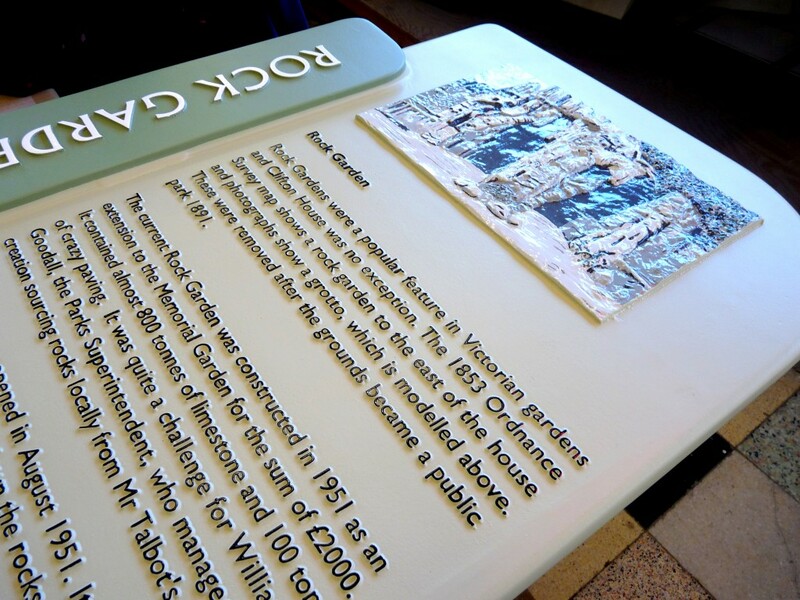 Lecterns can be carved in stone, cut in timber, cast in aluminium or fabricated in most metals. 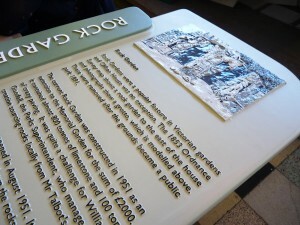 Panels are usually printed and encapsulated in either g.r.p. or Darvic. They can also be cast in relief or etched into zinc or stainless steel. We make our own notice boards and map framing systems. 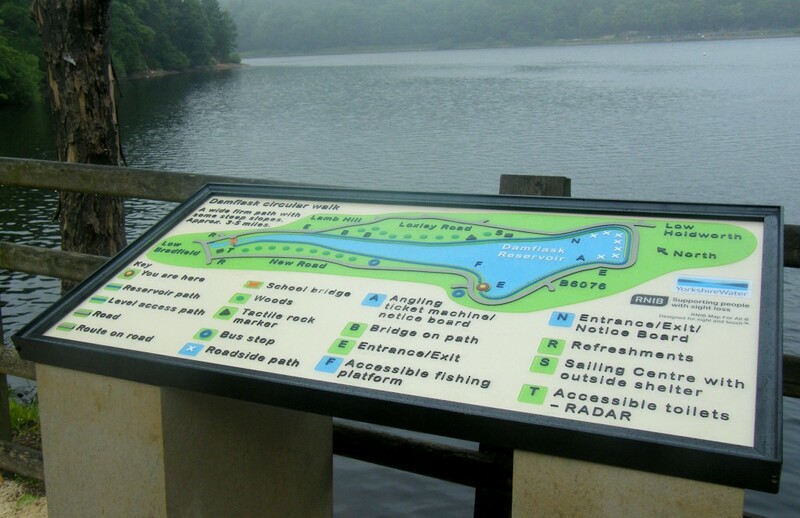 Our ‘ Twin Peaks’ glazed lockable waterproof notice boards are rigid and heavy duty, ideal for public parks and town centres. Split units – notice board and map for example – are also available. There are more unusual ways of displaying information. Tactile and 3-D panels are very effective with children and encourage them to explore. They also help the partially-sighted. 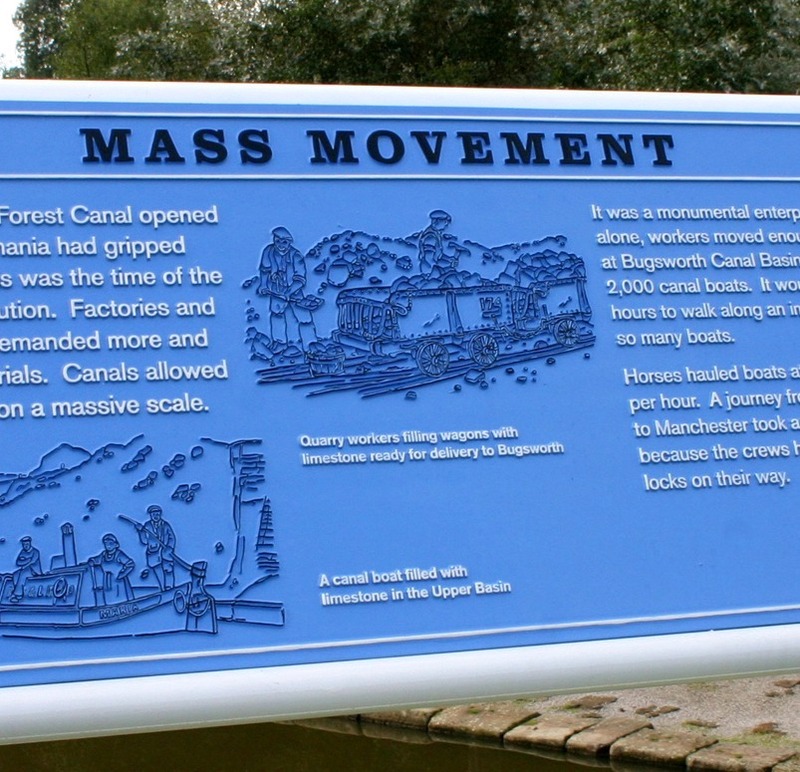 Combining materials – etched and cast metals, bronze and stone, hardwood and full colour panels – can be very effective. We can create artwork ourselves, develop your rough drafts or work straight from your artwork. We have our own skilled artists, modellers and sculptors who can create line artwork or carve 3-D artwork in a range of materials. The view from the top of a high hill or a city centre tower can be spectacular and it’s all the better if there’s a toposcope there to explain what everything is. We design, make and install toposcopes, maps and panoramic panels for all sorts of places – Milford Haven Docks, the summit of Brown Clee in Shropshire, Antarctic bases and the middle of Portsmouth – to name a few recent ones. Completed before Christmas 2007 was our largest to date – a 5 metre diameter ‘ring’ toposcope for Coles Hill in Herefordshire. We also design and make low and high relief contour maps in cast aluminium and cast bronze.